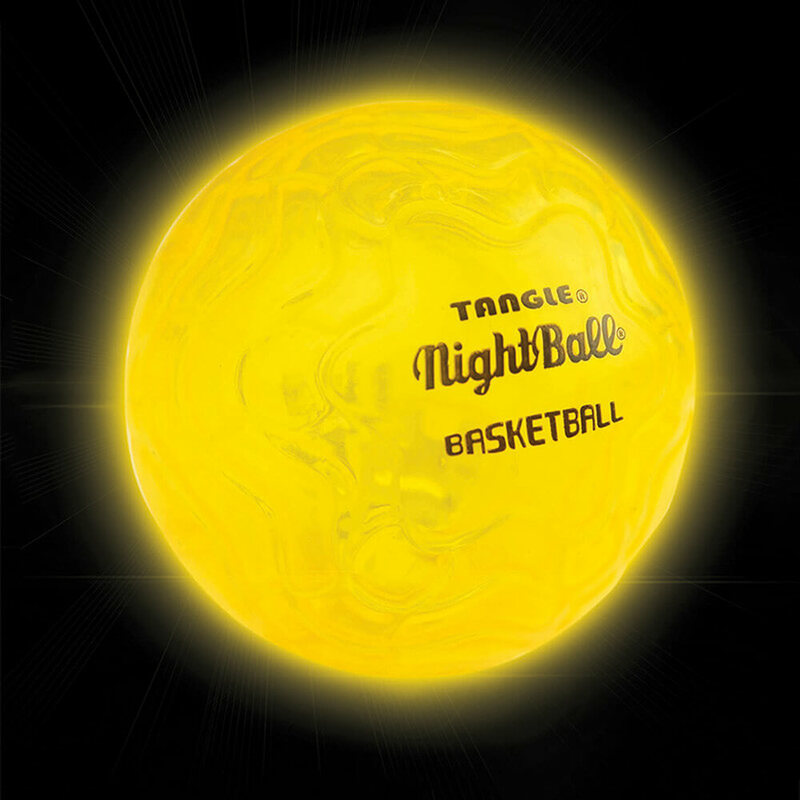 Tangle Nightball Mini | Perfect for light up fun indoors and outdoors! Perfect for developing fine motor skills! 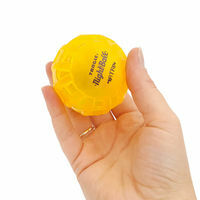 Bounce it, squeeze it, or play catch with it! 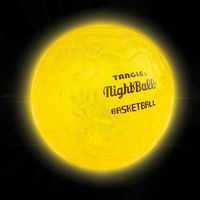 It's time to light up the night with the ultimate light up sports ball, available in three cool colours and designs! 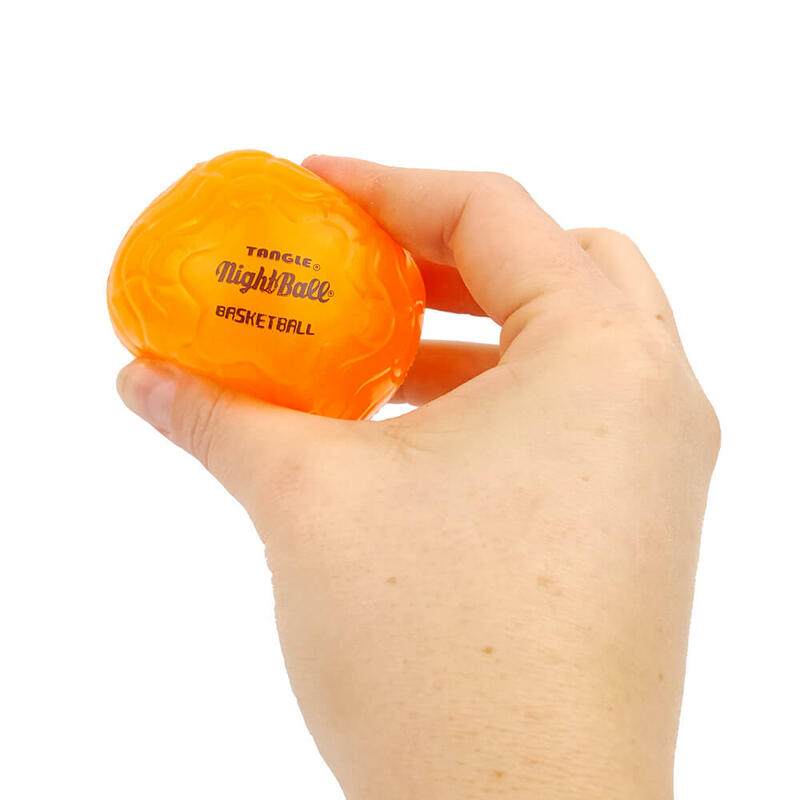 Your Tangle Nightball Mini is perfect for playtime, anytime! 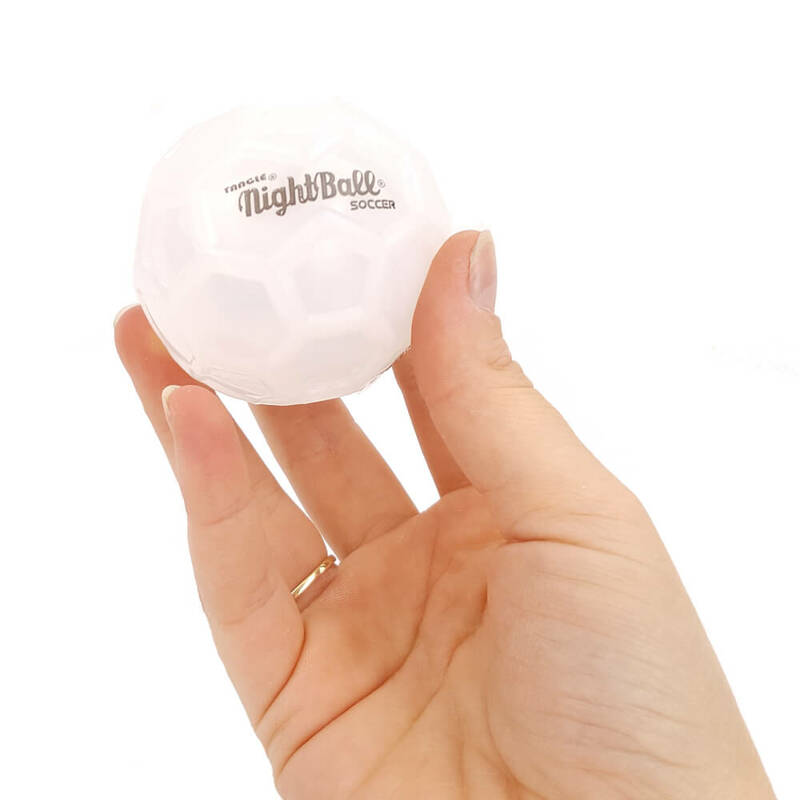 With it's unique, airless Matrix design (about the size of a tennis ball), your miniature Nightball is the perfect size for small hands, and the super bright motion sensor LED's allow for on the go play night and day! Made with latex-free, phthalate free materials, your ball will light up with every bounce, squeeze or throw. It's water resistant and floats too, so you can take it to the beach or the pool! Watch them light up brighter with greater impact and movement, collect each ball today! Perfect for developing motor skills, the Nightball Mini can also be used as a minor stress reliever or hand therapy device with each squeeze. 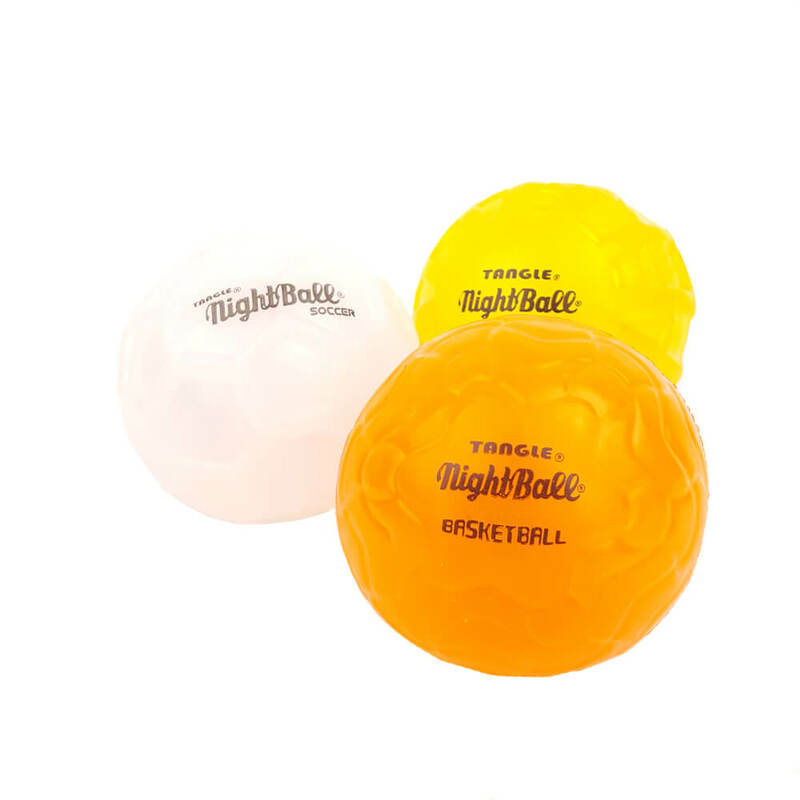 Purchase all 3 and save with the Tangle NightBall Mini 3 Pack! Please note: If you require a particular colour, please make a note in your order comments and we'll do our best to fulfill your request based on availability. The orange ball represents a basketball, the white is similar to a soccer ball, and the yellow ball has the texture of a matrix ball. Each sold separately (colours and designs chosen at random). Batteries are non-replaceable but last an amazingly long time. Ball dimensions: 6cm in diameter. This is a good size for people who like to fidget and keep their hands busy .You can use anywhere .I only gave 4 stars because I thought it was a little pricey.